Presenting to you Foodgasm 4’s Foodie-blogger judges, and the Participants who will be giving out free samples of their specialty dishes! Who’s hungry? Foodgasm 4, Craving 4 More! Your favorite foodie event is back and tastier than ever! 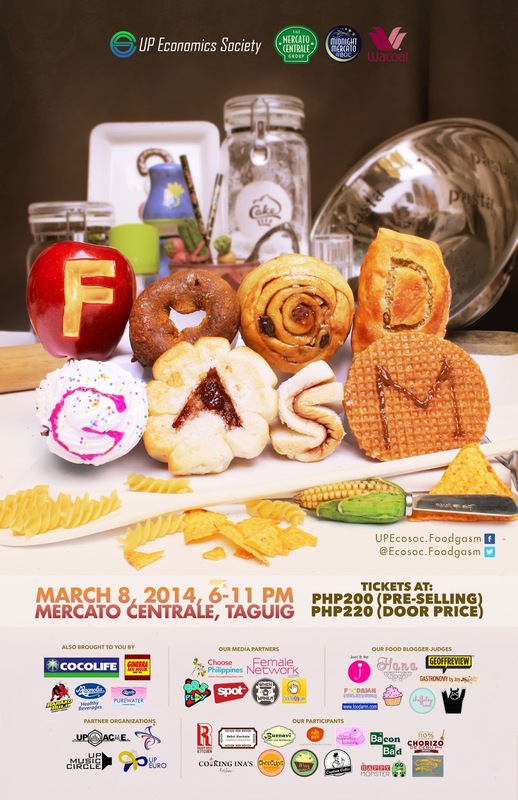 Get ready to taste and judge the best upcoming dishes the Metro has to offer on March 8, 2014 at Mercato Centrale in Bonifacio Global City, from 6pm-11pm! Bring nothing but your taste-buds and we’ll see you there! For ticket reservations, kindly email upecosoc.finance@gmail.com or contact Brian Cruz, 09275253427.